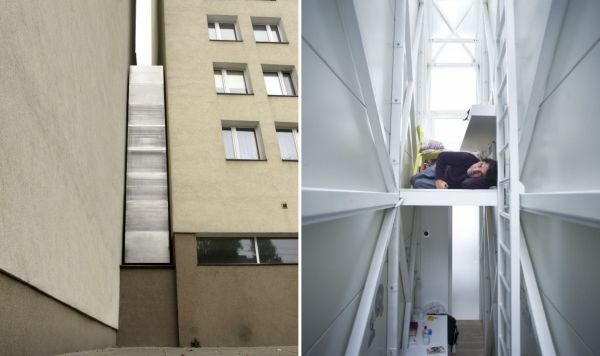 The Keret House must be one of the narrowest houses in the world. 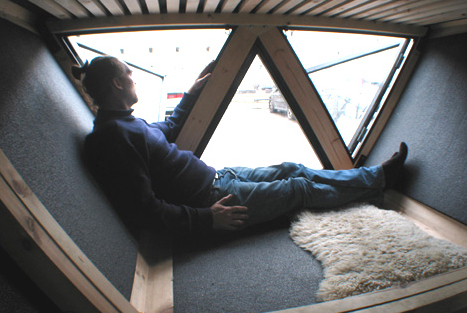 This tiny house is lodged in between two buildings and only measures between 122 cm and 72 cm in diameter. 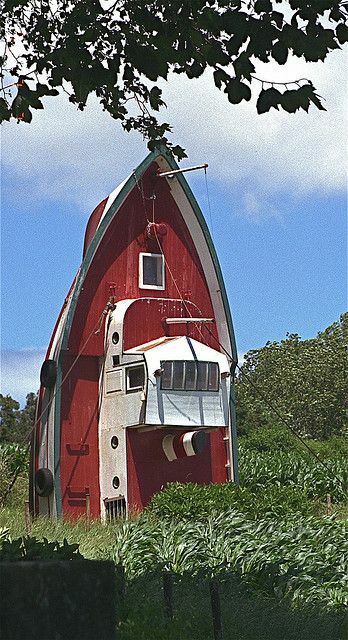 The innovative designer of this recycled house decided to turn a boat tail side down to create a cozy dwelling. 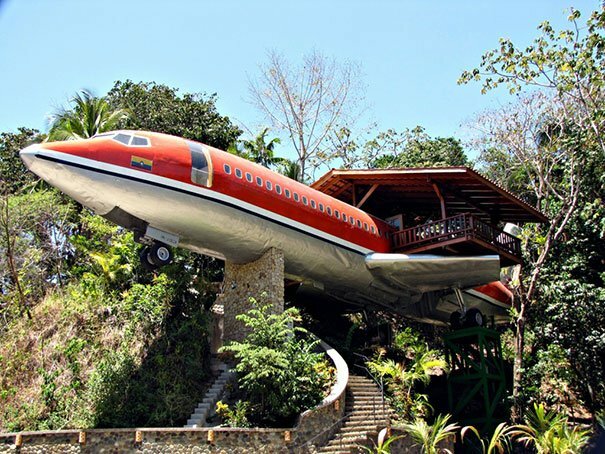 Another interesting repurposed vehicle, this time a Boeing 727 – the house has a lovely deck, is located in a very scenic setting and boasts quite the view. 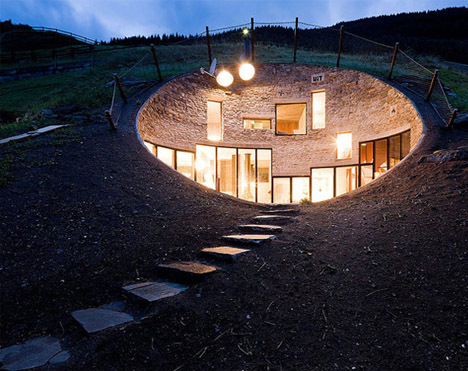 This beautiful underground house is situated in the Swiss Alps and mostly buried underground. 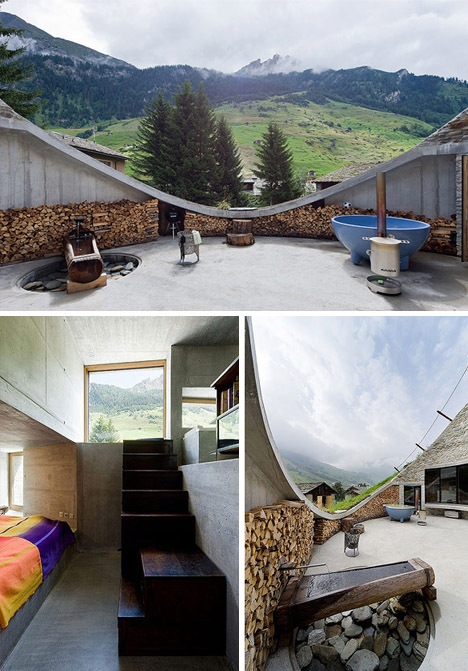 Its front, however has the most spectacular view facing the mountains. 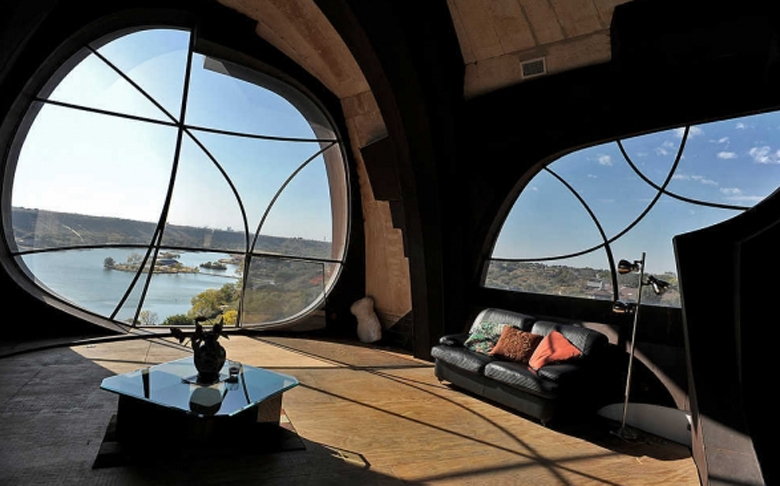 Even though the house is technically underground, It has the most spectacular views. 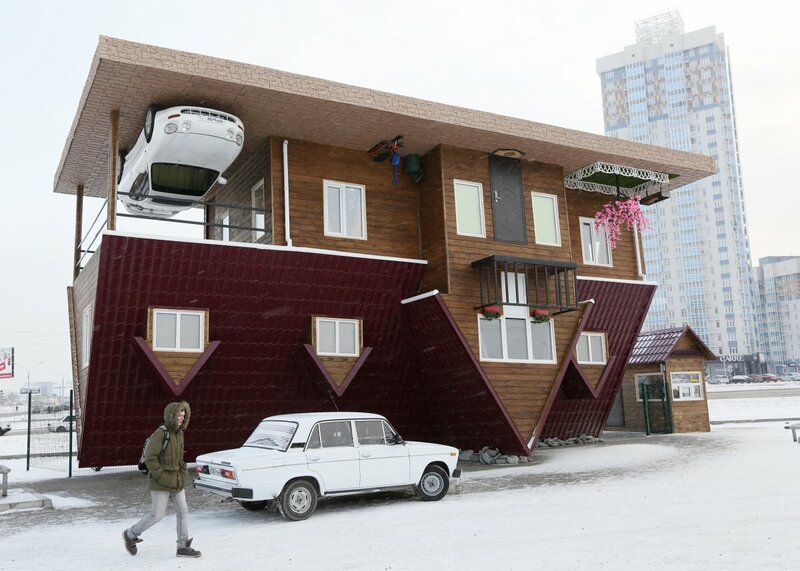 Upside-down houses are all the rage and can be found all over the world. This one was built in the Siberian city, Krasnoyarsk as a tourist attraction. 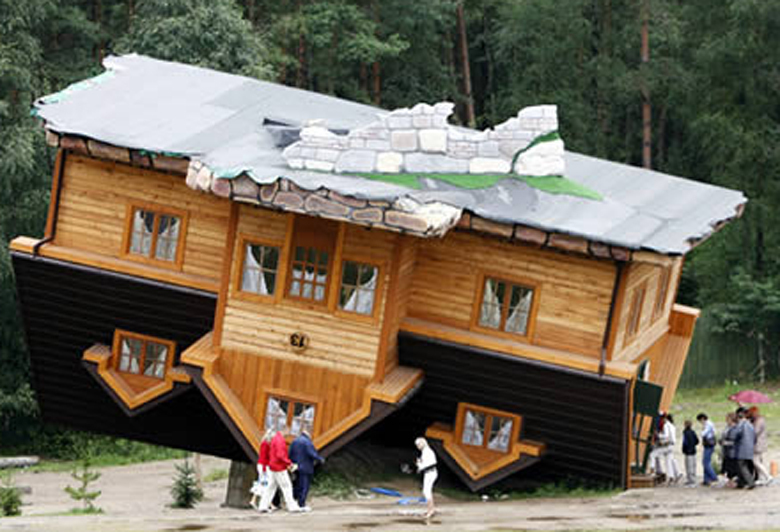 Another upside-down house, this time in Szymbark (Poland). The designer of this house, Daniel Czapiewski built it to represent the former communist era in contrast with the times we currently live in. The shoe-shape seems to be another popular weird design, like this 5 storey house built by Mahlon Haines, a shoe salesman, in 1948. 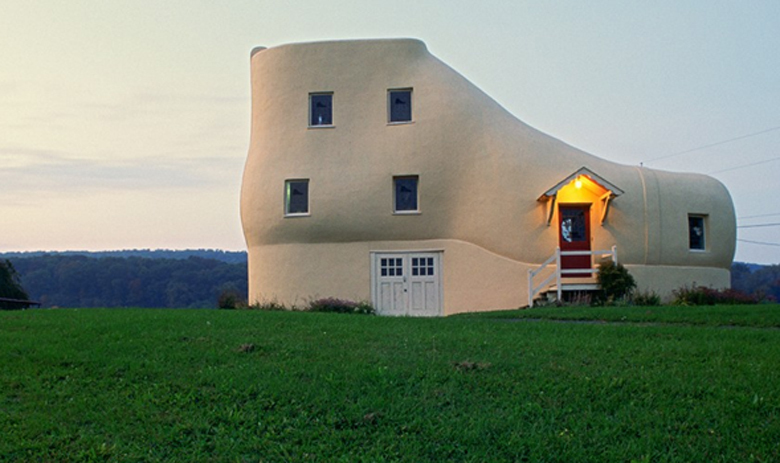 The house features a kitchen in the heel, a living room in the toes, an ice cream shop in the instep and two bedrooms in the ankle. Another shoe-design, this time in south Africa, complete with shoe laces. 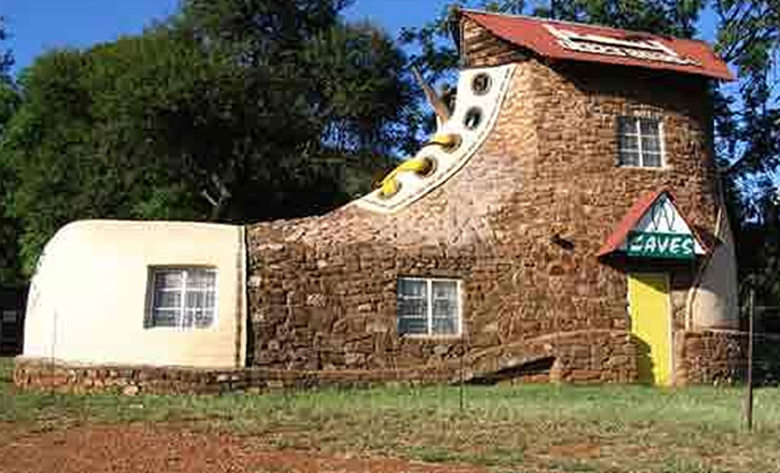 It was built by artist Ron van Zyl in 1990 and forms part of guest house complex. 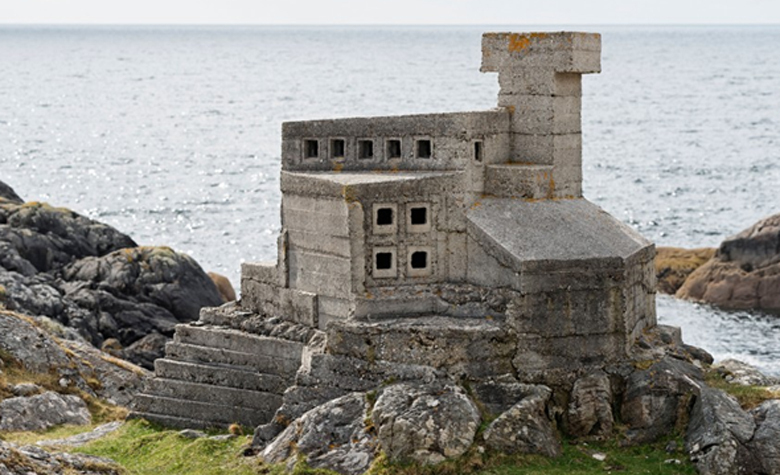 This building is said to be the tiniest castle in Europe. 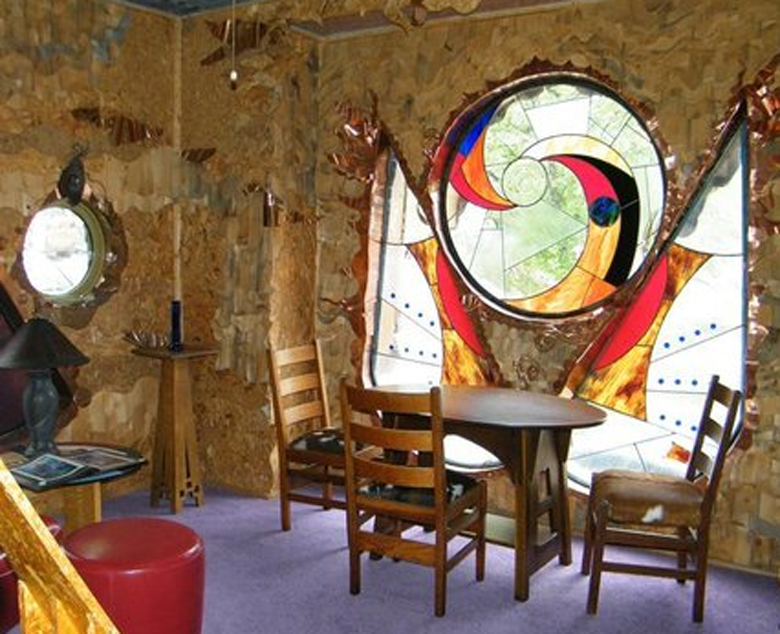 It only features one small room with a fireplace and a single concrete bed and was built in the 1950s by architect David Scott. 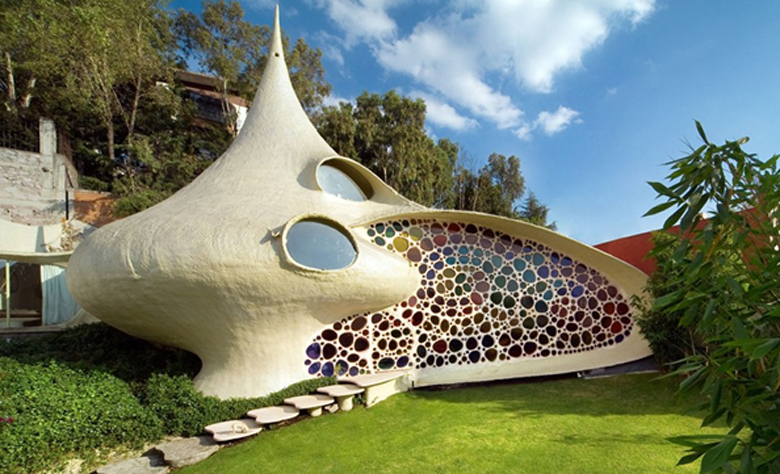 The designer of this peculiar house, Javier Sesosiain, was inspired by the shells sea creatures dwell in. He wanted the owners to feel like they are one with nature, in the middle of the city. 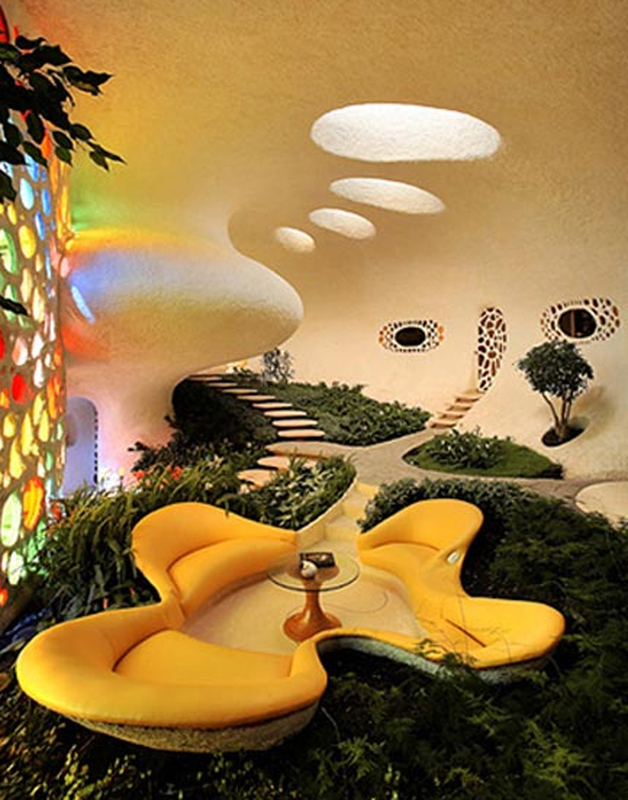 The interior of the Nautilus House is also quite remarkable. 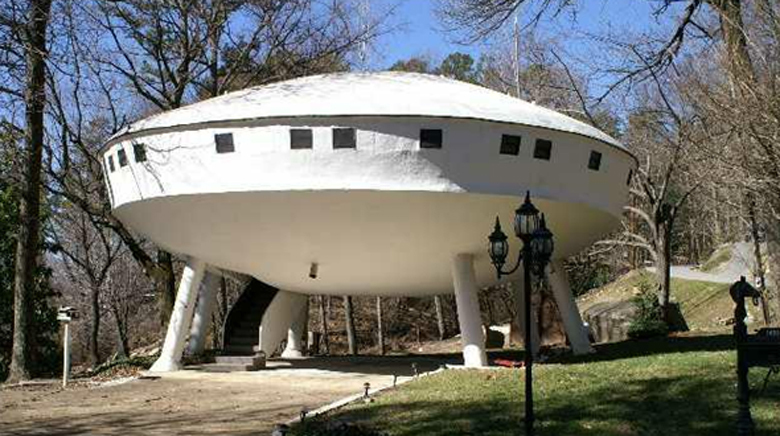 If experiencing an alien abduction is your lifelong dream, living in this spaceship house might just get you one step closer to E.T. 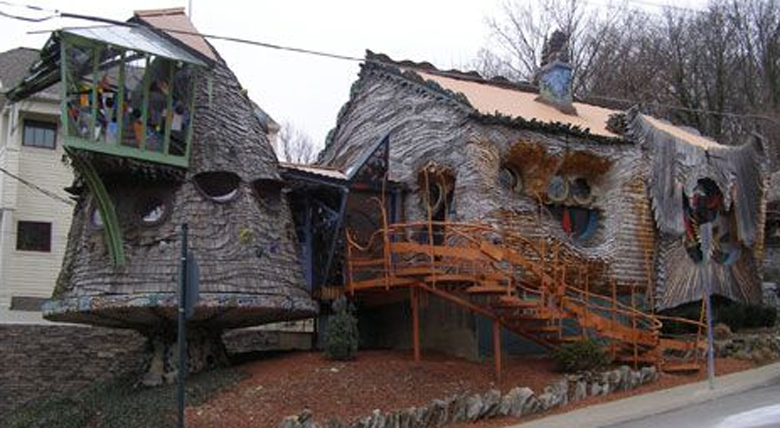 If you ever feel like getting high, a trip to this mushroom house is all you need for the ultimate experience without popping any pills. It may be hard to believe, but this one bedroom house used to be an ordinary looking house until a bunch of students and their professor, Terry Brown, got their hands on it and transformed it to this madness. The interior is actually quite homey, to be honest. 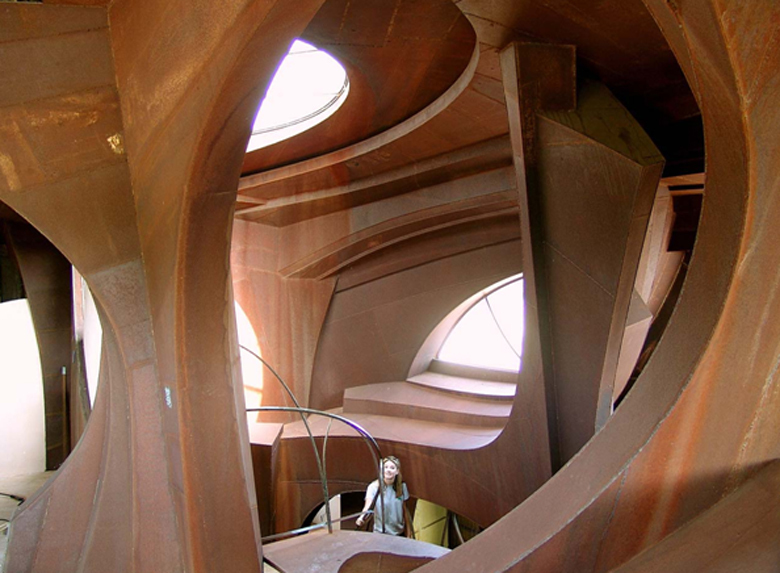 This weird steel construction was built by sculptor and architect Robert Bruno. It was a lifelong project he kept working on for 23 years, tearing out portions of some of the rooms and starting over again. Have you ever thought of buying an RV or caravan, but haven’t found it quite homey enough? 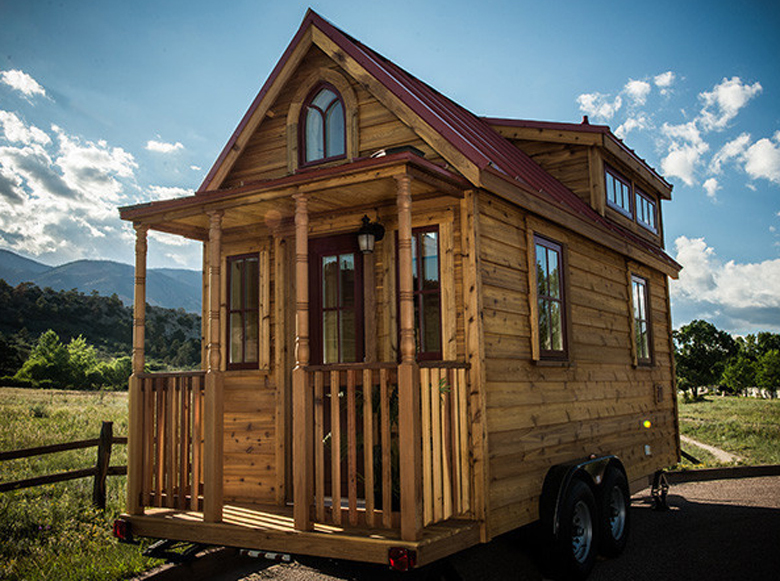 Then these tiny wooden cabins on wheels made by the Tumbleweed Tiny House Company may be just what you need. Not only do they have beautiful interiors, but they also look great from the outside. Now you can have your wooden cabin in the forest, at the lake, in your backyard or wherever you may wish. 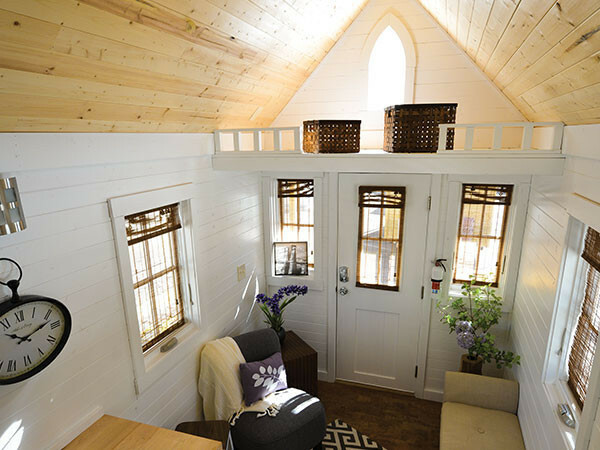 If a house on wheels is not to your taste, you can always opt for one that walks – by itself. 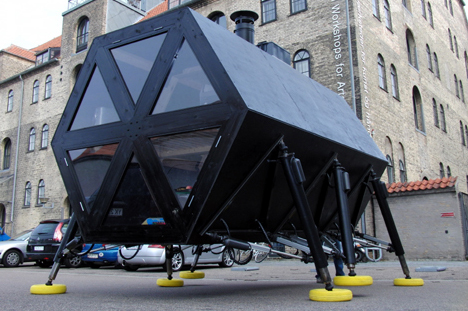 Apparently this earth-treading design is completely eco-friendly and collects its energy using small windmills and solar cells. It has a solar heated hot water system and collects rain water for daily use. The designers apparently constructed the house to move at the same pace a human is capable of walking, because “walking creates a mental state that enforces mobility of the mind.” If you ever feel like just getting out, with this design by studio N55, you can take your house for a nice, relaxing walk. 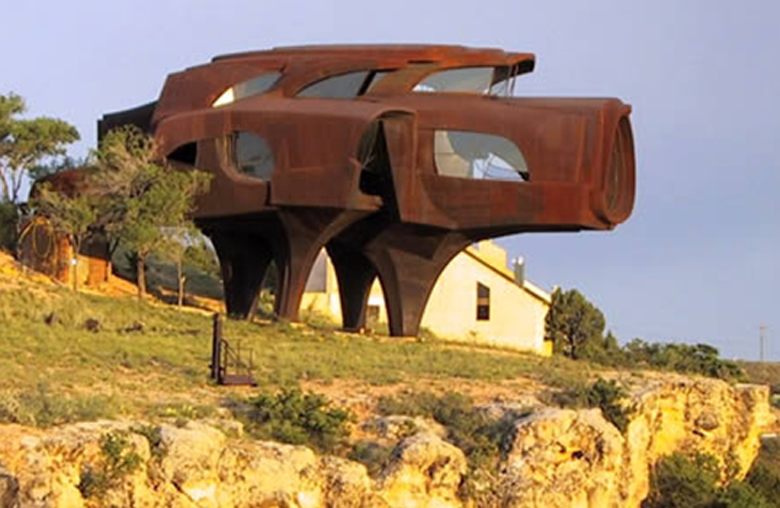 Fred Flintstone would have been jealous of this architectural marvel situated in Portugal. 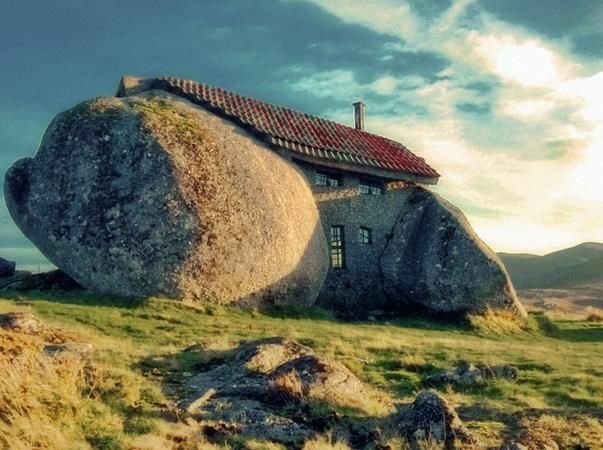 It is hard to see where the two gigantic boulders end and the house begins blending it all together. 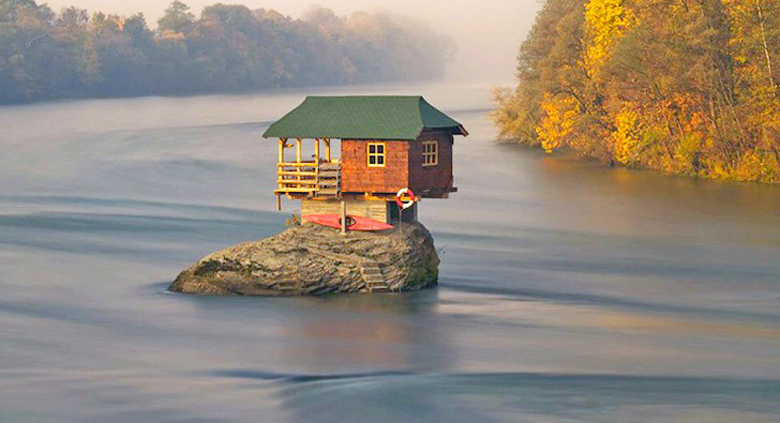 Instead of blending the house with the rock, the creators of this tiny house decided to rather balance it right on top of one in the middle of a river. 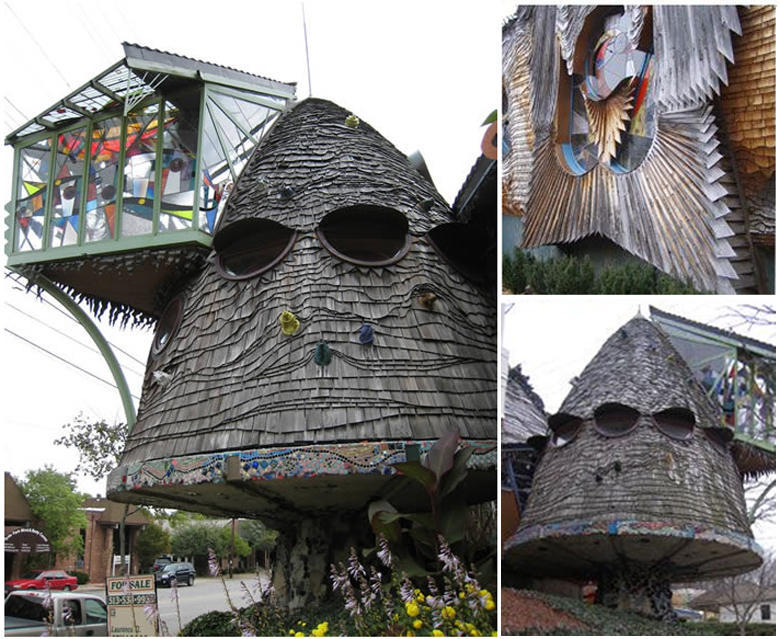 This remarkable house is the handiwork of a group of boys who built it in 1968 because they wanted a sunbathing spot at the river. They reclaimed wooden boards from a nearby broken-down shed and kayaked it to the rock where they constructed this house. It obviously has a sun-bathing deck, as well as a small room. Despite several severe floods and storms that tried to ravage it, this house has stood the test of time, thanks to regular restoration.